Calgary (Alberta) - The Calgary Stampede and Stampede Entertainment Inc. are excited to announce that the multiplatinum GRAMMY Award-winning Zac Brown Band will hit the Calgary Stampede in 2019 as a part of the Virgin Mobile Stampede Concert Series. The Zac brown Band’s only performance in Alberta will be on Friday, July 12, 2019 at the Scotiabank Saddledome. Boasting chart toppers Chicken Fried, Knee Deep, Toes and Homegrown, Zac Brown Band is a multi-platinum, Grammy Award-winning, southern rock group led by front man Zac Brown. 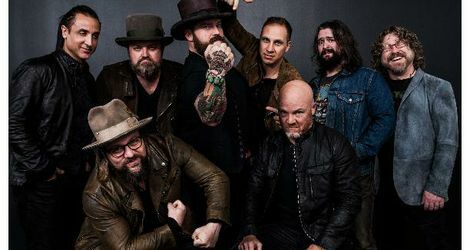 Throughout their decade-long career, Zac Brown Band has had five consecutive albums reach the top 10 of the Billboard 200 and four consecutive albums debut at #1 on Billboard's Country Albums chart. To date, the group has won three Grammy Awards including Best New Artist in 2010, sold more than 30 million singles, 9 million albums, has achieved 15 #1 radio singles and are the second act to top both the Country and Active Rock formats. Zac Brown Band has headlined 8 North American Tours and currently holds the record for most consecutive sold-out shows at the iconic Fenway Park. Since their debut, Zac Brown Band has developed a reputation with critics and fans alike as one of the most dynamic live performers, marked by strong musicianship that defies genre boundaries. Tickets go on sale to the public on Friday, November 23 at 10 a.m. (MDT) starting at $59.99 (plus applicable fees). Tickets will be available at all Ticketmaster outlets, via phone at 1.855.985.5000 and at https://www.ticketmaster.ca/event/11005567DA936CB1. Tickets include admission to the Calgary Stampede on the day of the concert. Calgary Stampede Insiders have an opportunity to pre-purchase tickets from Tuesday, November 20 at 10 a.m. (MDT) until Thursday, November 22 at 10 p.m. (MDT). The Calgary Stampede is July 5-14, 2019. For more information, please visit calgarystampede.com. Stay tuned for more great Virgin Mobile Stampede Concert Series announcements. At Virgin Mobile, you’re not a customer, you’re a Member and “Members Get” exclusive deals from awesome brands, a shot at VIP access and one-of-a-kind experiences to events in Canada and around the world. That's on top of super-hot smartphones on a super-fast network with plans that have loads of extras built right in! And now eligible Members in Ontario and Quebec can say Hi to Home Internet with ultra-affordable pricing. Virgin Mobile Members and Canadians can do some good in their local communities by helping at-risk and homeless youth in Canada gain skills to get jobs with Virgin Mobile RE*Generation. Wanna hook up? There are loads of ways! Head online or call 1-888-999-2321 to get in the know. Get personal with Virgin Mobile Canada on Facebook, Twitter, or Instagram.